Caring for baby chicks in the brooder. 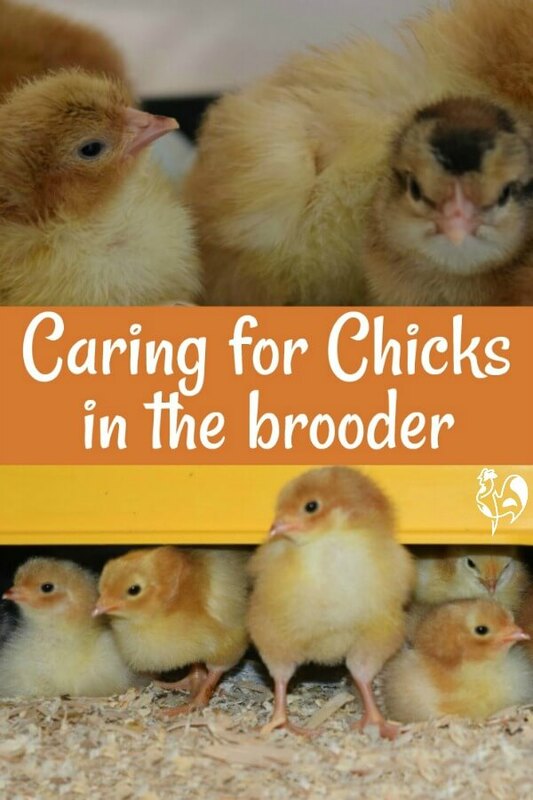 Caring for baby chicks in the brooder: everything you need to know. 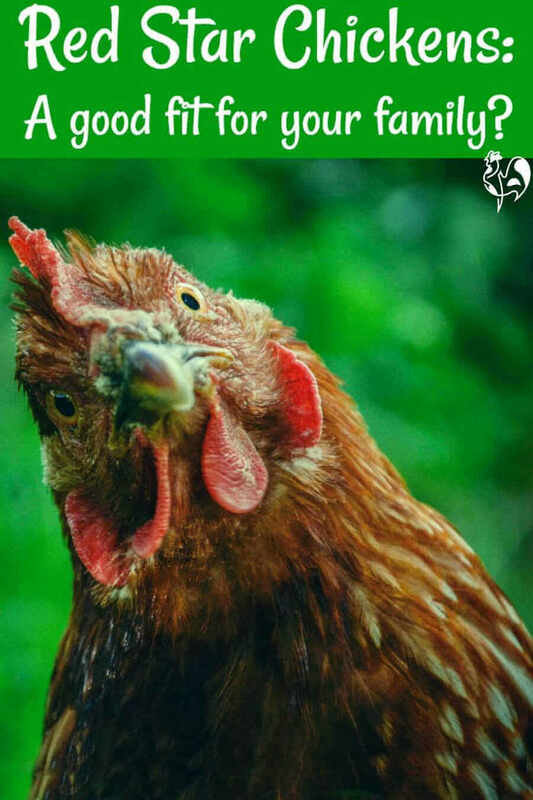 So you've hatched chicks in an incubator or bought from a hatchery and you're not sure what to do now? It's not hard to care for a brood of chicks, but there's a lot of information out there which can be confusing and is often contradictory. Which is why I've gathered everything together for you in one place. 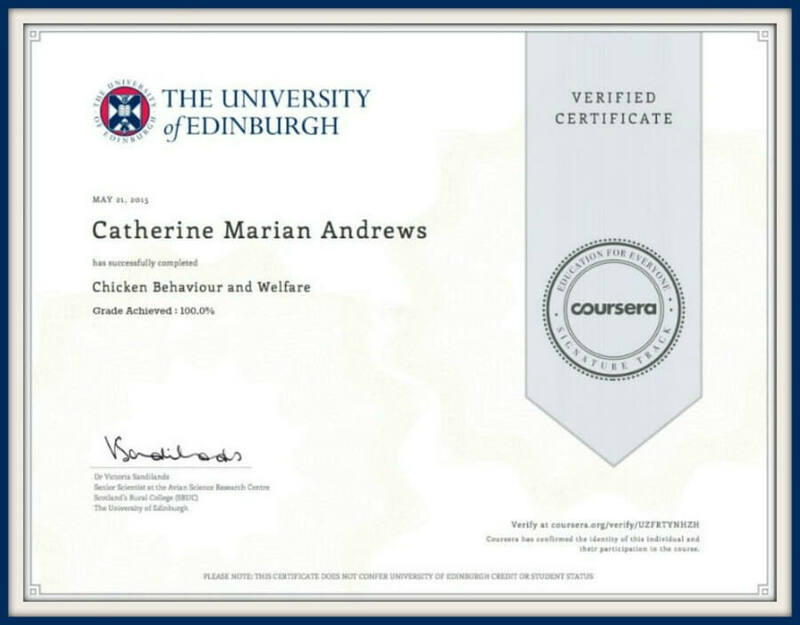 On this page you'll find links to all the different aspects of chick care, from when to transfer chicks from the incubator to the brooder, to caring for them at each stage until they're ready to go out into the big wide world. It's very easy to get carried away by the process of incubation, or by seeing a clutch of chicks for sale in a food store, and not be prepared for what lies ahead. It's always important to think about whether those cute little chicks - which will grow into large, noisy hens (and possibly roos) are going to fit into your family. So before you start to hatch or before you allow your kids to persuade you to buy, think hard and long about it. and then - prepare. Do not leave it until the last minute. You will be stressed, and so will your new chicks. This ten-point quiz will help you think through that process, if you haven't already considered all the implications. 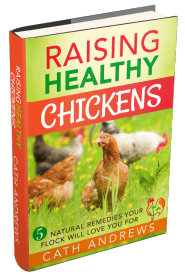 If you have, and you're ready to learn how to care for your brood of chicks - let's go! Just click on a headline or the pic to go to whichever page you're interested in. Moving baby chicks from incubator to brooder. So you've successfully hatched a brood of chicks and now you're not sure what comes next. 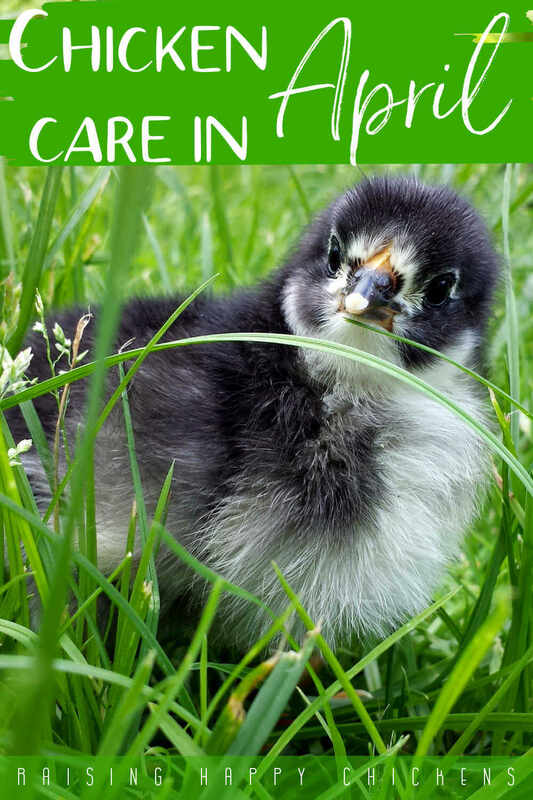 This article talks about everything that can and should happen post-hatch to help your chicks make a successful transition from incubator to brooder. 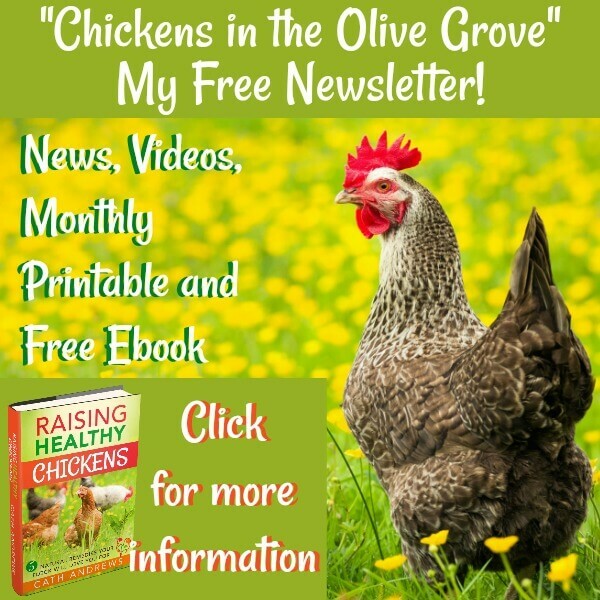 It includes information about how long your chicks should stay in the incubator; how to remove them while others are still hatching; what to do about gunk; and what happens when a chick can't get dry. You'll also find information about the kinds of problems that can happen immediately after hatch which may delay the move, or make it more difficult. 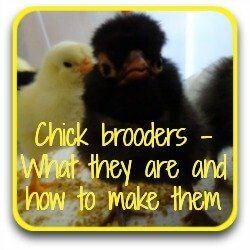 What is a brooder? How does it work? What size does it need to be? And what should it contain? Newly-hatched chicks need to go from the warmth and safety of the incubator to the equal warmth and safety of a brooder as soon as they've dried out from hatching. 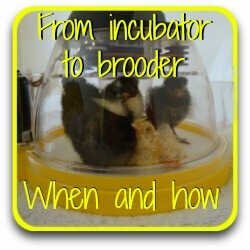 So your brooder needs to be prepared as soon as you've locked your incubated eggs down at Day 18 - preferably even before that. In this article you'll learn exactly what a brooder is, how you can make an inexpensive one and what it needs to contain. 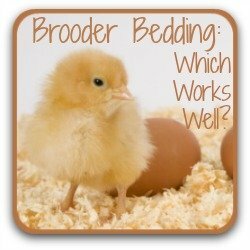 Which bedding is best in the brooder? Your brooder's all ready, your chicks are at the point where they can go into it - but what bedding should they have? 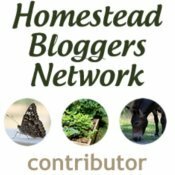 Are hay and straw good bedding materials? Why newspaper should never be used. Keeping chicks warm in the brooder. Cold is the one thing more than any other which is sure to kill a newly-hatched chick. For 21 days, your chicks have enjoyed the warmth and humidity of a nice comfy incubator. Now they've started their journey into the big wide world, they still need to be kept warm. 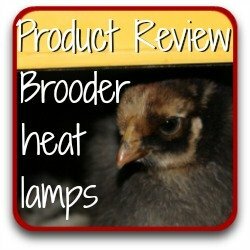 This article looks at the pros and cons of different ways to heat your brooder, from traditional heat lamps to the more modern - and safer - equivalent. 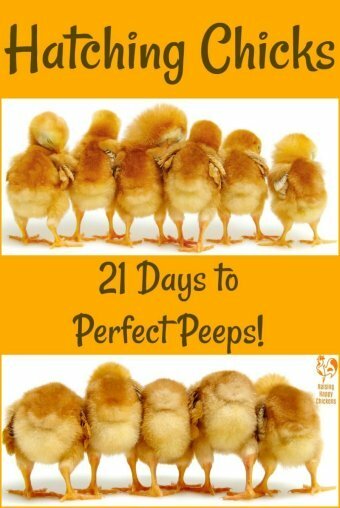 I also examine information about ideal temperatures suggested for newly hatched chicks in the first few weeks of life, and shows you how to know by your chicks' body language whether they're too hot, too cold or just right. Brinsea's radiant heat lamps - my review. As we've already seen, a reliable heat source to take the place of a mother hen is a critical part of a chick's first weeks of life. I've always used Brinsea's EcoGlow radiant heat lamps because they're safe, ultra-reliable and can grow with your chicks as they get bigger. In this article I review their two most popular products: the EcoGlow 20, which can manage up to 20 newly-hatched chicks, and the larger EcoGlow 50 which Brinsea estimate can take up to 50. I look at pros and cons, and an assessment of whether these heat lamps are value for money. What do baby chicks drink? Now we have our brooder all set up with a reliable heat source. It's time to think about what the baby chicks are going to drink and eat. Chicks are safe without anything to eat or drink for several hours post-hatch. but it's always a good idea to introduce them to their food and drink source as soon as they're put into the brooder. One of the main problems with drink in the brooder is keeping it clean, and free from chick poop and bedding. 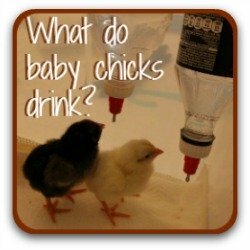 So in this article I look at the best drink of all for chicks, and the best way of keeping it completely clean and safe to drink for the whole brood. 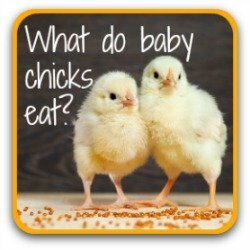 What should baby chicks eat? Your chicks are safe, warm, and have learned how to drink. So now, what about food? A chick is sustained by the yolk of the egg for several hours after hatching. But it's a good idea to introduce it to food as soon as it's placed into the incubator. This article discusses the best kind of food for newly hatched chicks, and looks at when they should be moved away from that and onto a different type. I also look at which of the many varieties of feeders works best for messy chicks. Now your chicks are safe, warm and have food and drink, it's time to relax and enjoy them. Part of that enjoyment is naming your brood! This is a fun activity for adults and children alike. But how to choose? 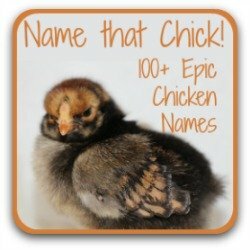 Here I list over 100 of the most popular names for chickens, from names kids will love to "old lady" names, names from literature and film, cute and funny names and a special section for naming that roo!